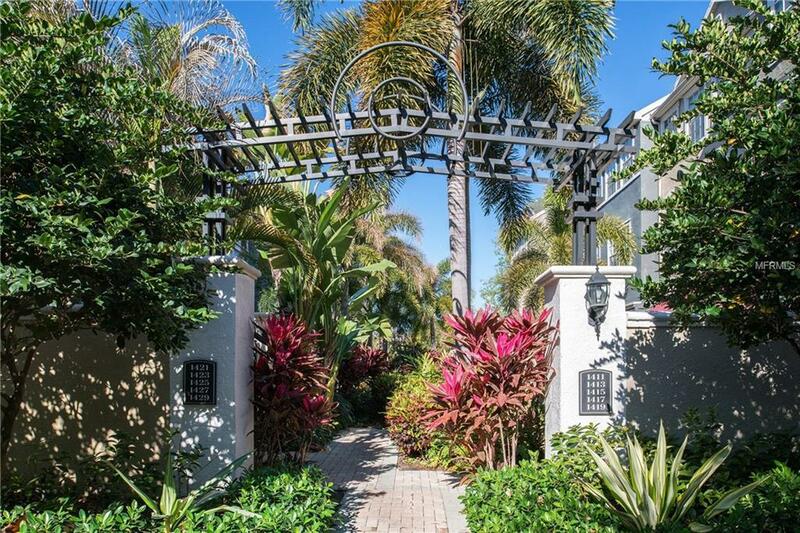 Beautiful Brownstone 3 bedroom + bonus room 2.5 bath townhouse on the lovely and gated Harbour Island. Three story attached home with 2 car garage, ground floor bonus room/office/den with french doors that opens to your private courtyard. The second floor has an open floor plan great room, with eat in kitchen, solid wood cabinets, gas stove top, slate floors, half bath and all bedrooms are on the third floor. The island offers privacy, security, water access, convenience to downtown and interstates; linear parkway trails for walking and lush landscaping. Take a trolley ride to Ybor City, walk to the Arena for a concert or hockey game and run the Bayshore. Call me today to schedule your tour of the island and this well appointed home.